Kagurazaka is a part of Shinjuku that is still somewhat off the beaten track. It is known for its colourful history; a town made up of temples, related to the Tokugawa family, and Samurai during the Edo period. Famous for its writers in the Meiji period. And in the Taishou and Showa periods it was renowned for its geisha houses. Only traces of this vibrant past are evident today, but it is still one of my favourite areas to ramble around as there are dozens of alleys with lots to explore. Moreover, the store fronts of the shops in Kagurazaka look like something out of a postcard. And if that wasn’t enough, Kagurazaka has some of the best coffee shops in the whole of Japan! 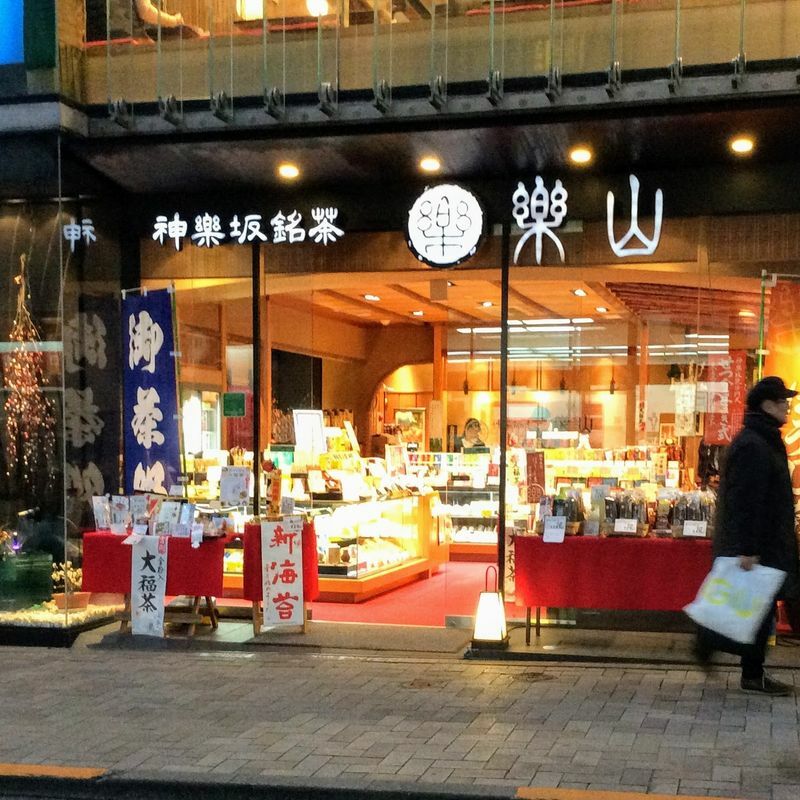 It is also home to a very popular and renowned green tea store: Rakuzan. Rakuzan came on my radar simply from passing it by. However, after I had taken note of it, I started hearing whispers about it here and there. Rakuzan is near the renowned Zenkokuji, where one of Shinjuku's tangible cultural properties the stone tiger or Tora Bisha is. Rakuzan is a bright and airy shop with a floor to ceiling glass front. It is hard to miss, especially with the steady flow of patrons entering and leaving the premises. The steady flow of customers stirred my curiosity, reinforced by the draw of the intricate tea green pots calling to me from the window, and I eventually went in for a better look. I was welcomed warmly by the staff and within seconds was brought a lovely (and free!) hot cup of green tea. Apart from being extremely cordial, the staff are helpful and expert in their field. My experience then, and since, has brought me back to Rakuzan whenever I need to buy green tea while in the Tokyo area. There is an area to sit in the shop where you can enjoy the free cup of green tea. They have leaflets out in this area which are free to take home. Quite a good bit of the information is in English. 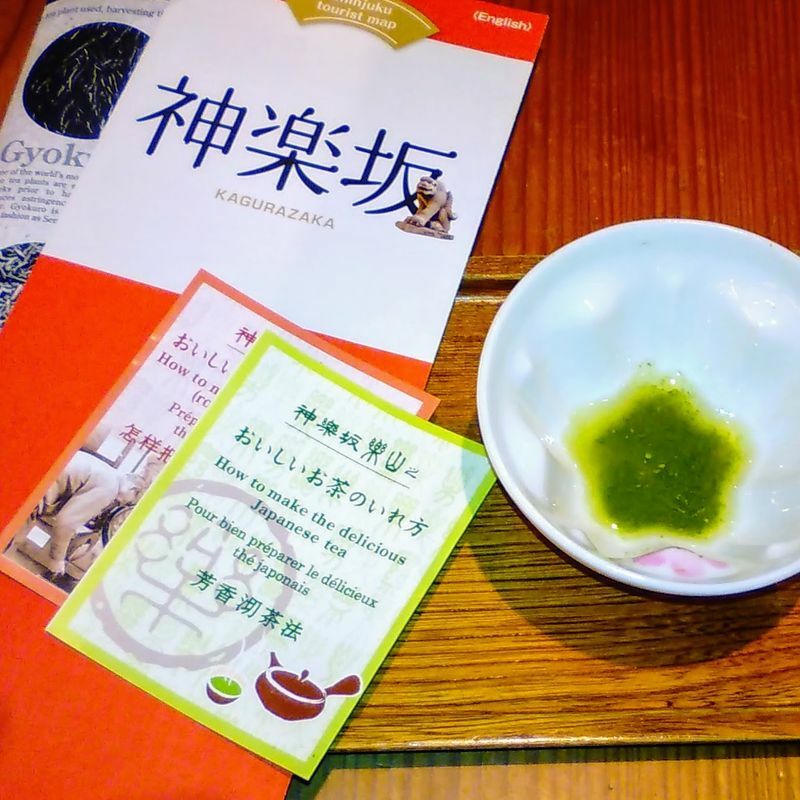 They have information about tea in general as well as about the area of Kagurazaka. Another allure for me is that they have a good selection of green tea from Shizuoka, including from Mori Town, the town I love so well. They gift wrap on request as well as having some ready gift wrapped green tea leaves available. They will deliver too (within Japan). You can order from within the shop or online for goods to be delivered. A couple of additional things I like about Rakuzan in Kagurazaka is their product’s and their product’s packaging. I just love these Daruma canisters of green tea leaves (pictured above). The canisters are re-usable and you can actually use them like a daruma good luck amulet. They provide stickers for the eyes. Rakuzan also sell green tea bottles for making green tea to have on the go. 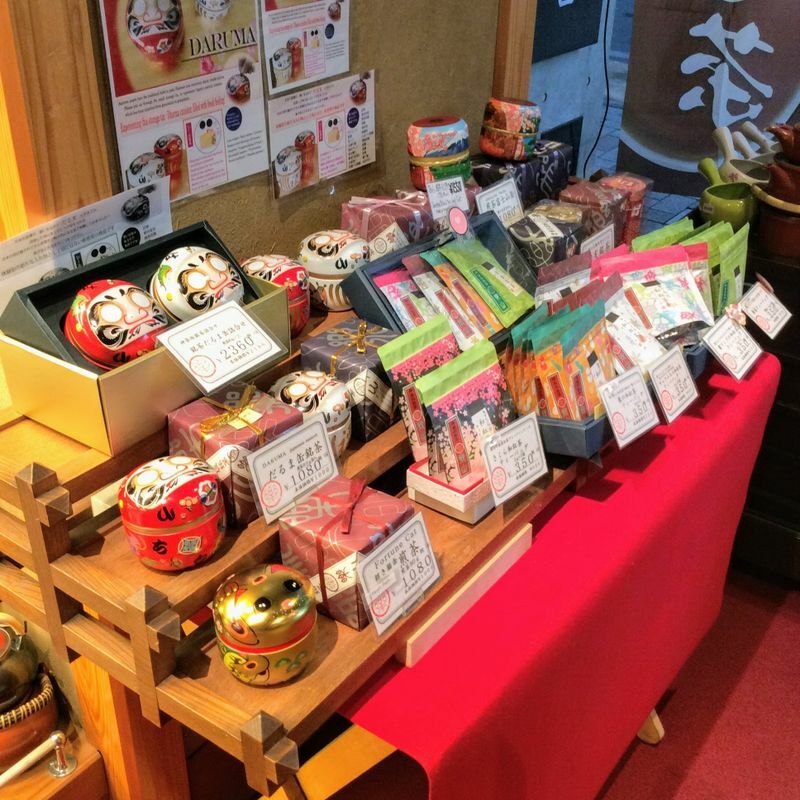 The area of Kagurazaka is worth a visit anyway, but if you are in the area and want some green tea check out Rakuzan for a free sample as well as useful English information.